Rugged. Capable. Iconic. 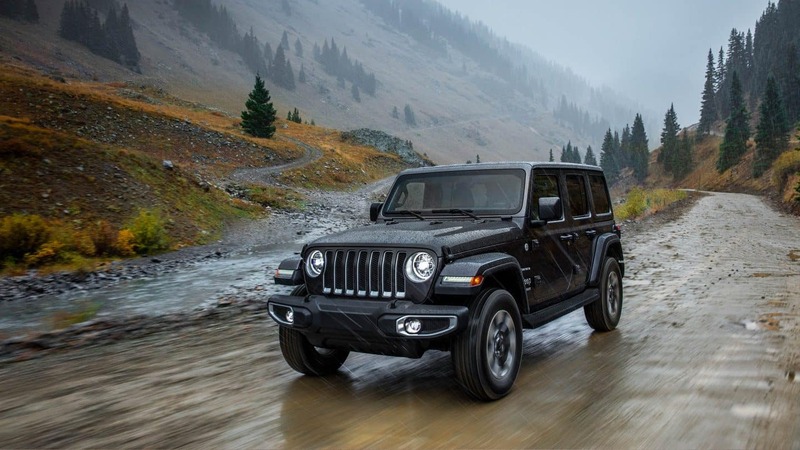 The all-new 2018 Jeep Wrangler JL is finally hitting dealerships, and you can find the best selection of them at Landers Chrysler Dodge Jeep Ram in Norman, Oklahoma. 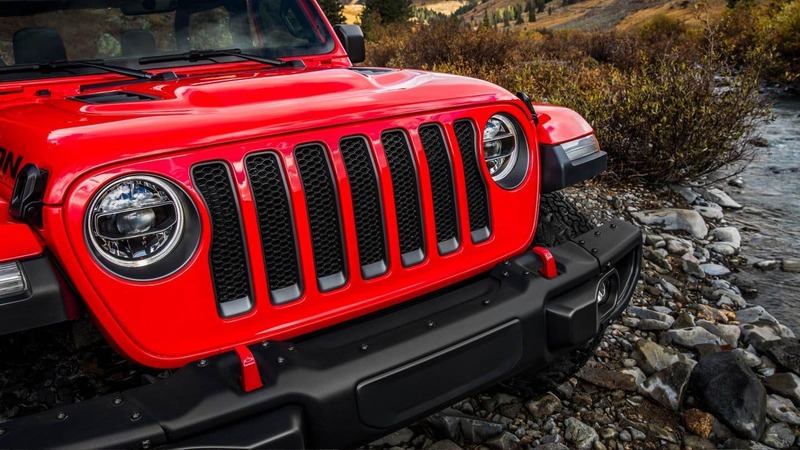 The newest Wrangler has all the power and hardiness that you’d expect from a Jeep, along with the iconic Jeep design elements you know so well. 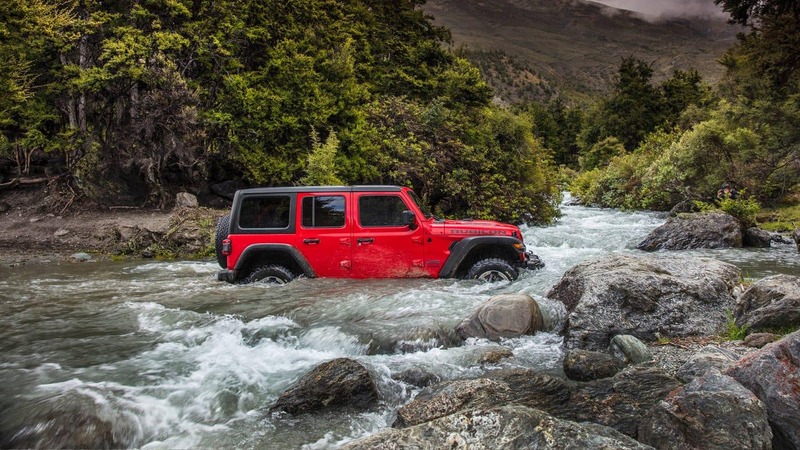 It’s the most capable, most advanced and most fuel-efficient Jeep Wrangler ever made. On the inside, the cockpit is designed completely around you. It provides you with the tools you need to stay connected with your Jeep, stay informed with all your driver information, and stay comfortable enough to be able to survive even the toughest of trails. Landers CDJR of Norman customers come in from across the Oklahoma City metro, including Edmond, Moore, Midwest City, Yukon and Del City. Get directions to Landers CDJR in Norman, Oklahoma. The Jeep Wrangler has always maintained the traditional Jeep brand styling, with only a little variation over the years. The all-new 2018 Wrangler JL follows suit staying true to its heritage, but has improved in many ways too. Of course, the newest Wrangler is authentic to that traditional Jeep formula: iconic styling, round headlamps, seven-slot grille, flat fender flares, fold-down windshield and removable top and doors. New air extractors have been added behind the fender flares to help cool the engine compartment. The Jeep Brand badge has moved from the back of the hood to the side of the aluminum fender, which is reminiscent of past models. 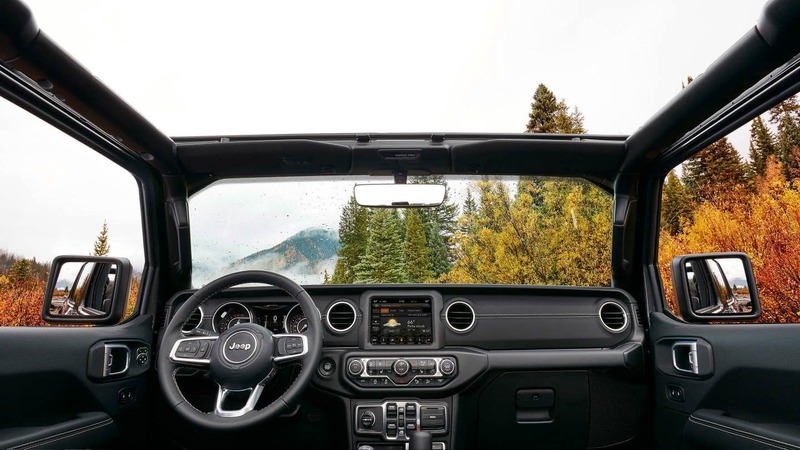 The Wrangler JL features an easily foldable windshield that makes it possible for you to get a little more fresh air and a better view of the trail ahead. In fact, the all-new Wrangler is optimized so that you can take advantage of open-air driving as much as possible. You have a choice of hardtop, soft top, no top, power top, full doors or no doors. New available LED headlamps and taillamps mean you’ll always leave an impression making an entrance or an exit. Every trim model in the lineup puts a unique spin on the new Wrangler. 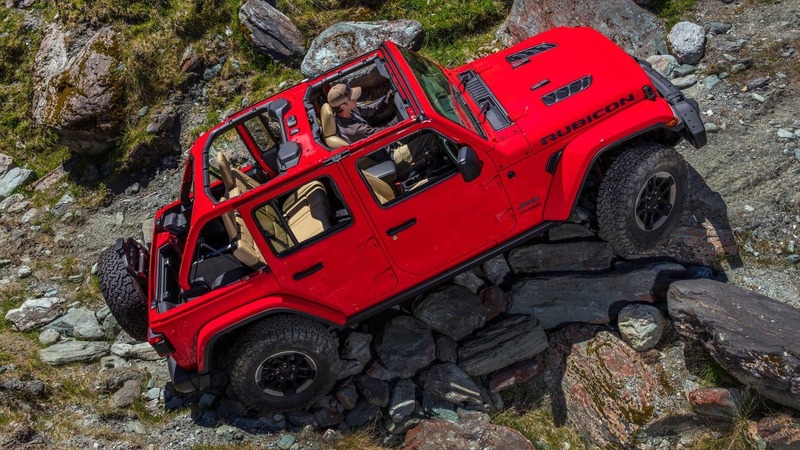 The Rubicon model shows off a rugged exterior to go with its extreme capability. The power-dome hood has two hood vents that cool the engine, while high clearance fender flares accommodate 33-inch off-road, all-terrain tires. Rock rails, red tow hooks and red-accented Trail Rated badge finish off the look. The Sahara model is made to look more clean and polished (but still adventure-ready!) with body-color fender flares, rugged side steps, 18-inch aluminum wheels and available signature LED lights. Every 2018 Jeep Wrangler wears the Trail Rated badge, which they earned by passing a series of tests in tough conditions. Not only that, but the Wrangler JL is the most capable Wrangler there has ever been. Under the hood, the updated V6 engine produces 285 horsepower and 260 pound-feet of torque. It can be paired with a standard six-speed automatic manual transmission or an optional eight-speed automatic transmission. The JL also adds an all-new turbocharged four-cylinder engine, which puts out 270 horsepower and an incredible 295 pound-feet of torque. When properly equipped, the 2018 Wrangler JL has an approach angle of 44 degrees and a departure angle of 37 degrees with an 84:1 crawl ratio. It has 10.9 inches of ground clearance, up to 30 inches of water fording depth, and it can tow up to 3,500 pounds. So yeah, we’d say it’s pretty capable. You’ll likely notice the biggest differences in the Wrangler once you climb inside the cabin. The Wrangler JL introduces new interior enhancements designed to give you more modern conveniences without compromising on the ruggedly classic style. The updated interior tech can help you keep tabs on your Jeep’s performance, so you really can push the limits of never stop exploring. The latest Uconnect system is featured front and center with a 7- or 8.4-inch touchscreen. It will give you driver information, show you what’s behind you while you’re backing up, and blare your music at top volume while you crawl over those boulders. A new seat design provides comfort and maximum support, while available heated front seats, a driver seat with two-way adjustable lumbar adjustment, additional rear seat legroom, premium armrests and more, make every trip one to remember. That means you can take the risks on the trail without risking your back. The cabin also offers options for integrating accessory controls, including those for lights and winches. The 2018 Wrangler JL is the Jeep you’ve been waiting for, so give yourself permission to come experience it in all its glory. 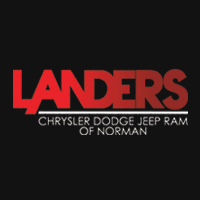 Landers Chrysler Dodge Jeep Ram of Norman is the perfect place to get behind the wheel and take on out for a test drive before you take to the wilderness. Come see us today to check out the all-new 2018 Jeep Wrangler JL in person. In the meantime, you can take a look at our Jeep inventory online. Browse all-new Jeep Wrangler inventory online.